A major event on the Venture Scout Calendar. 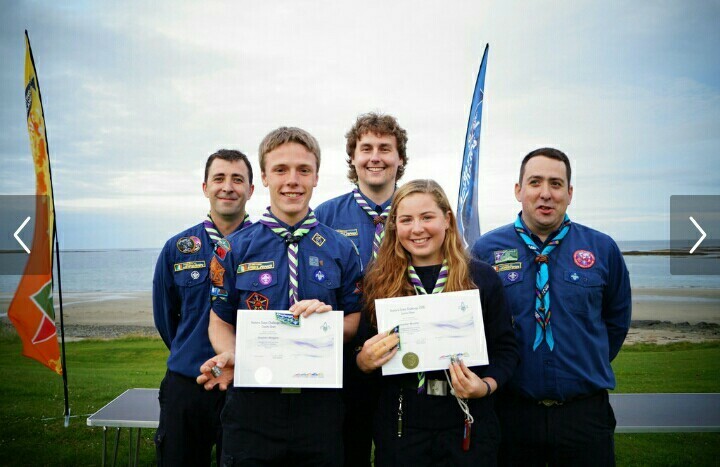 It sees teams of two Venture Scouts taking part in a 5 day expedition during which they must cover 100km’s on foot while completing a number of challenges, completing a logbook of their journey and living on a limited budget. 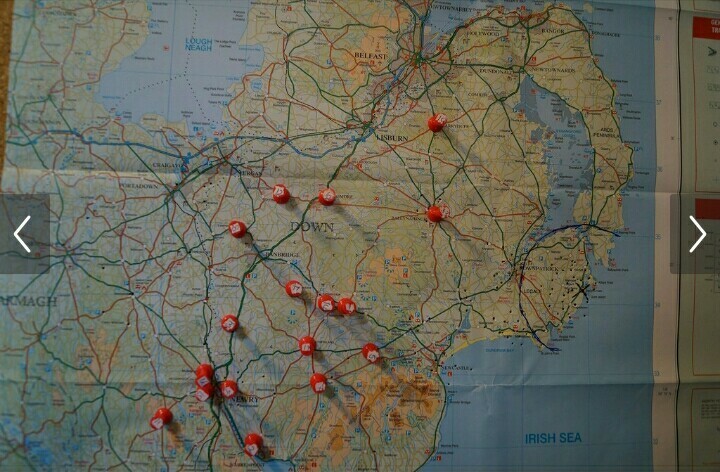 The event takes place around July / August each year in either Ireland or the UK. There are two types of projects to be completed. The first are designed to be completed by interacting with local people met along the route of the expedition. These can cover a variety of topics and are grouped under the headings of Skills, Culture and Novelty. The second involve each Venture Scout taking on a number of Personal Challenges. These involve the Venture Scouts investigating an aspect of their own development under the headings of Social, Physical, Intellectual, Character, Emotional and Spiritual. The expedition begins with teams being dropped off at an unknown location. Each team is handed a sealed envelope which contains their project instructions, budget money, mobile phone, base camp location and maps. After this they are left on their own and they have to work out a plan to get themselves to the base camp location while completing all the required projects along the way. A team of staff constantly monitor the progress of the teams and phone checks are done on a daily basis. When the teams eventually arrive at base camp they can enjoy a couple of days of well earned relaxation. During this time assessments of the projects and log books take place. These are followed up by team interviews to determine that all requirements of Challenge were competed. 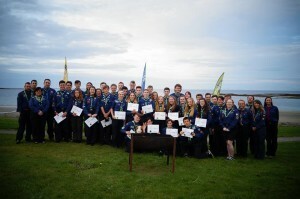 On the last day presentations are made to each team during which the successful teams are awarded their Challenge Badge and Woggle. 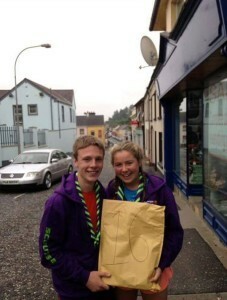 Well as you guys may have seen I was off on an expo with Scouting Ireland for the past while. For the past 10 days I was taking part in an event called Venture Challenge – an annual national event, run by Scouting Ireland that teams of any 2 ventures can take part in. 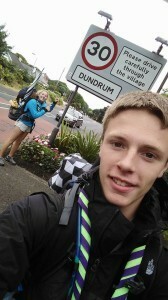 Myself and my partner, Stephen from Navan Road Scouts, had to walk at least 100km in 5 days, with £4 for food each day and carry all of our gear – all with just each other’s company. This year 17 teams got dropped all over Northern Ireland and we made our way to Ballyhornan, Co. Down. 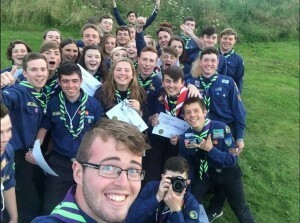 The 34 participants and staff gathered in Aughrim Street Scout Den, Dublin on Tuesday 19th July and at 6am the next morning we piled onto a bus to head to our mystery drop off points. Each team would be dropped off in a radius around Base Camp to avoid running into each other on our 5 day journey. We copped on fairly quickly to which end of the country we were headed and once we passed the border the nerve wreaking drop offs began. Just to make it worse, the teams weren’t called in chronological order – Some teams dropped in a small town, some at a crossroads and some in the middle of nowhere. Along the way we had projects to complete – teaching someone a new skill, learning about the local area, baking a cake and stuff like that. I know it sounds insane and the amount of times we got asked what charity we were doing it in aid of, only to reply that it was for a bit of craic – well, for a shiny piece of metal (a woggle) and a badge. Each night we knocked on peoples doors to find a place to pitch our tent for the night – usually greeted by shocked and confused expressions to say the least – but we were very fortunate to have met some very generous people as well, who feed us, gave us showers, beds for the night and even a packed lunch for the following day! Walking the last mile into Ballyhornan on Day 5 was a tough but exciting one. We were greeted with food, beds and 5 more days with the rest of the participants and a tough but fair Assessment team. Over the 5 days we were assessed in adventure skills and interviewed 3 times about our journey – making sure that we kept to all of the rules and completed all of the requirements. 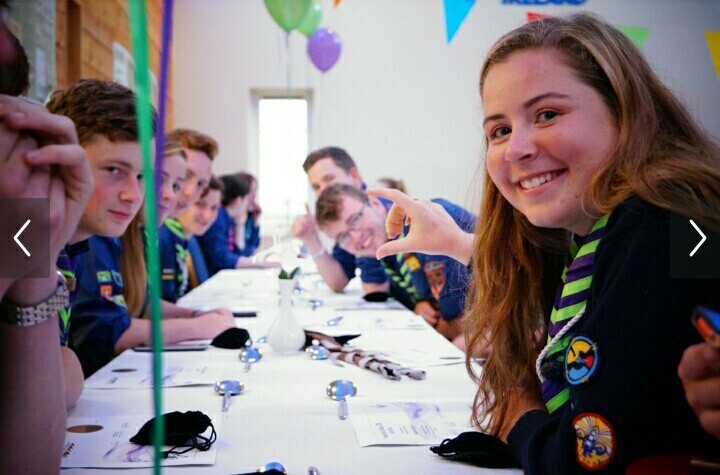 On the Last day we scrubbed up into uniform and were spoilt with a dinner and awards ceremony in an equally scrubbed up scout den. We were incredibly lucky and met some amazing people who lifted our spirits on the road and more that made memories to cherish at basecamp. As mad as it seems, it was amazing experience and I would definitely encourage everyone to consider taking part. The things we learnt along the way, the people we met and the friends and memories back at base camp made it worth every painful blistered step & suffering the bruised shoulders – and I know that every lesson we learned will stand with us forever. I definitely have a new found appreciation for cars and public transport, that’s for sure! We were completely out of our comfort zone especially being in the North and having to deal with pounds, miles, funny accents and the tricolours & Union Jacks everywhere ~ but somehow we managed to survive. As the only Sea Scout jumper amongst the blue shirts I was slightly intimidated at first but in the end it didn’t really matter and hopefully soon enough there will be more jumpers in there too. It’s an opportunity of a lifetime, great craic and most importantly don’t be scared by the challenge.